DMV is a generic term that stands for Department of Motor Vehicles. In the United States, it is a government agency that operates in the state level. They handle transactions related to vehicle registration and licensing, like driver’s identification and license, vehicle registration, driver certification, and vehicle ownership. 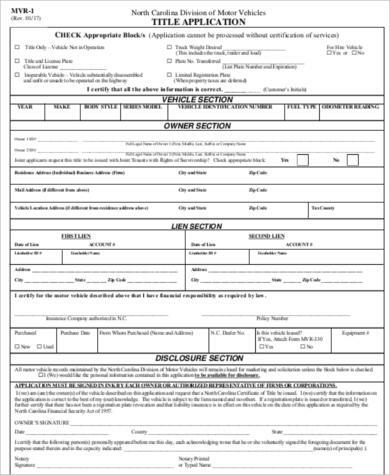 It is mandatory to fill out a DMV application form if you wish to have your motor vehicle registered. Having your motor vehicle registered with the government authority is compulsory. In some case it would depend on the area where you live in. There are different Sample Forms for your DMV application needs. We have them provided for you below. Here is a list of the common documents needed to register your vehicle or apply for a driver’s license. The DMV application and processes may vary from state to state. You may need to check with the DMV in your area for more information. 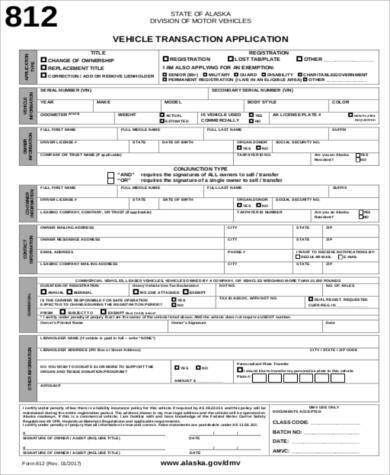 Completed application form, whether it is for vehicle registration or for your driver’s license. Official copy of your birth certificate, which contains the of the area where you were born. If you were born out of the country, then you need to provide a proof of legal residency. 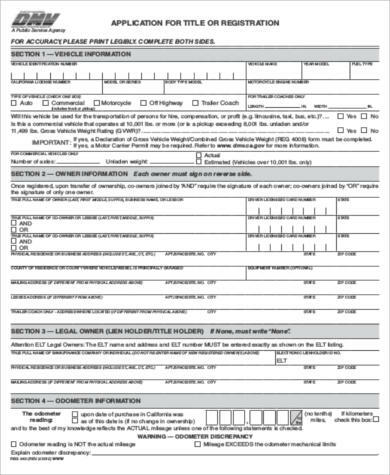 If you are under 18 years old and are applying for a driver’s license, you will need consent form that is signed by parents or guardians. Application fee depending on your area. A vision test is required. If you are wearing glasses or contact lenses, you will need them on the test. Some states would require you to surrender your driver’s license from your previous state upon application for a new one. 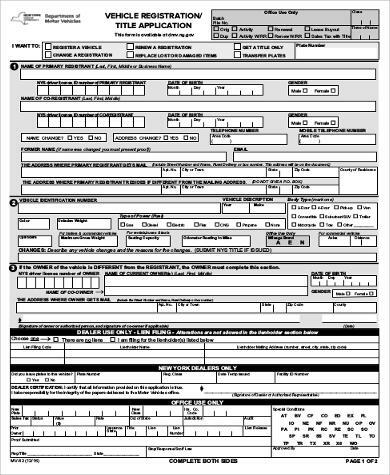 Other forms we have available are Target Application Forms. Who Needs a DMV Application Form? 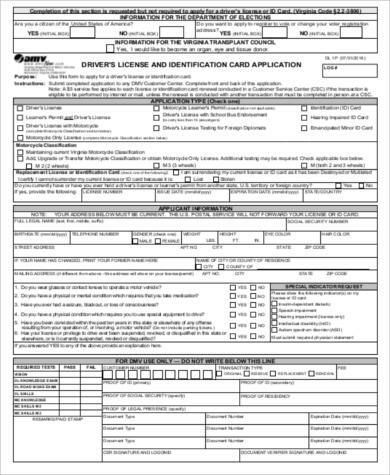 People who wish to get a driver’s license or those who want to renew their driver’s license need to fill out a DMV application form for that purpose. 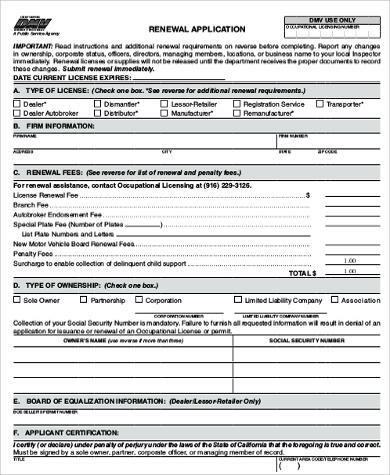 Those who have new unregistered vehicles, change in address, and change of ownership of the vehicle also need to fill out DMV application forms. In some areas it’s compulsory. Establishes a link between the owner or the user of the vehicle and the vehicle. Used for crime detection, most especially but not limited to crimes related to motor vehicular accidents. To acquire or renew one’s driver’s license. A registered vehicle will display a vehicle registration plate number and the owner will carry vehicle registration certificate. Shows compliance with the law. There are various application forms that you need for every transaction you have with the DMV. No matter what your purpose is, getting the right form for the right application is very important. Acquiring and filling it out before going to the DMV will surely save you time. 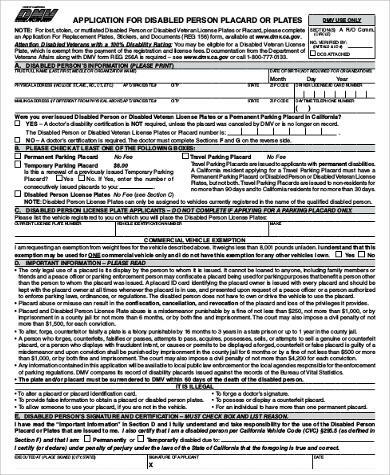 Our DMV application forms are available online for you to download. It wouldn’t cost you anything if you check them out. Once you find the DMV application form that fits your needs, then do not hesitate to download it. It is designed to make your application process easy and convenient. 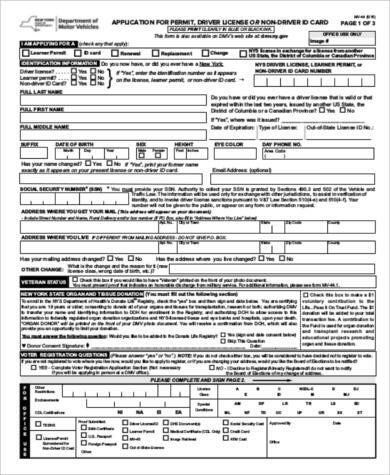 We also have other forms available, like the Tenant Application Forms.